Experienced player amazed to see his forehand speed surpass 90 mph after just 12 minutes on the Somax Power Hip Trainer. Every tennis player should have their hip strength tested as soon as possible. 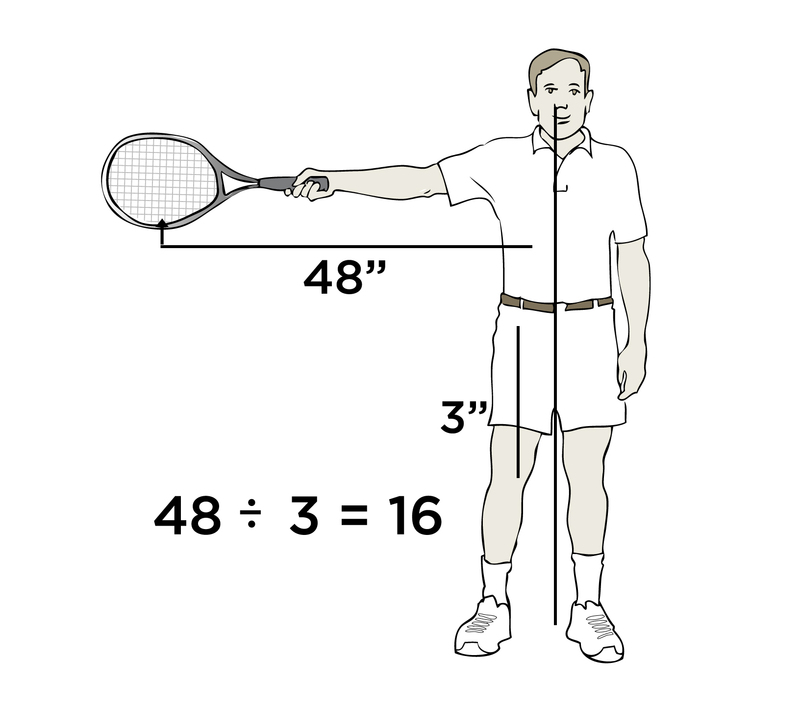 Any hip weakness will reduce racquet head speed. The reason the Power Hip Trainer can increase racquet head speed so quickly is the 1:16 ratio of the hips and the racquet head. Any increase in hip speed is multiplied 16X at the racquet for the forehand, backhand and serve. “All tennis players should immediately test their hip strength. Players with weak hip rotation muscles suffer a hidden handicap that is restricting their racquet head speed,” says Bob Prichard, Director of Somax Performance Institute. "When the hips are weak, players have to compensate by overusing their shoulder muscles. This leads to poor ball control, weak shots and rotator cuff tears"
Prichard describes the test as follows: "Lie on your stomach and bend both knees 90º. 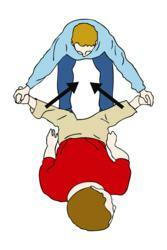 Keeping your knees together, move your feet away from each other. Now have someone hold your feet apart as you try to bring them together. If your hips are strong enough for tennis, you can snap your feet together fast enough to throw them back across the room. If you have to struggle to bring your feet together, your hips are not strong enough for tennis. The Somax Power Hip Trainer is the only home aerobic exercise machine designed to increase the strength and speed of hip rotation for tennis by providing resistance to hip rotation. 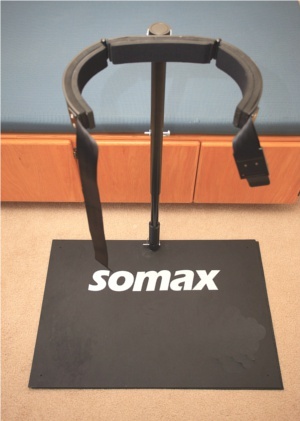 The Somax Power Hip Trainer is easy to set up and easy to store. It consists of a rugged non-slip steel base with a large high-tensile strength steel spring that easily bends to accommodate lateral movement, but provides resistance to hip rotation. A steel connecting tube adjusts for different heights and a padded steel hip cinch with 2” wide nylon belt adapts to a range of hip sizes. All parts are finished with baked-on black enamel paint for years of maintenance-free use. A DVD is included which contains 26 drills for both right and left-handed players. Players also receive weekly emails containing helpful hints to get the maximum increase in hip strength and speed with their new Power Hip Trainer. Since 1970, the Somax Performance Institute has helped athletes of all ages improve their performance by improving their efficiency. Its 17 Olympic athletes have won 44 Gold Medals and have set 11 World Records. Their pro golfers have won the US Open as a rookie, improved their putting from #113 to #1, quadrupled their tour income and increased their longest drive from 295 to 400. Tennis players have added 20 mph and more to their ground strokes and serve. Their baseball players have increased their salary from $500,000 to $1.75 million after increasing their bases stolen, increased their long ball from 400 to 480, increased their velocity and strikes thrown, and reduced their 40-yard time from 4.9 to 4.27 seconds.